Salt Lake City, Utah: 2 May 2018 — Boart Longyear is pleased to announce its Drilling Services division in Canada has reached more than 4.2 million man hours over the last three years (April 2015 to April of 2018), with no lost-time incidents (LTIs). The Company currently employs approximately 640 field employees that work safely every day on drilling projects like surface and underground exploration, production work, sonic, large diameter rotary, RC and mud rotary drilling. The Company has received both client and industry recognition this year for their great safety record in Canada. 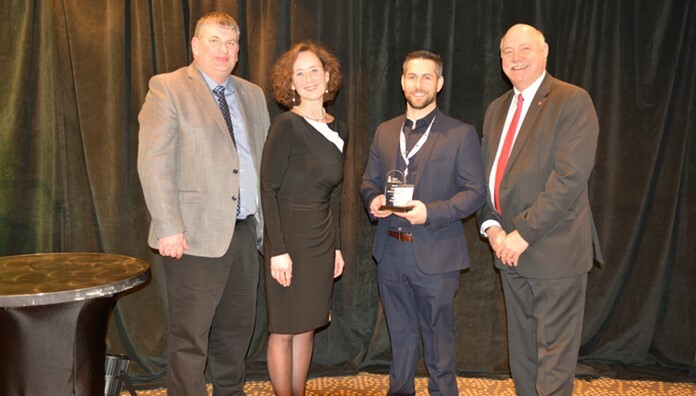 The crews at McArthur River reached 14 years LTI-free this year and the Saskatchewan Mining Association (SMA) recognized Boart Longyear with a Safety Achievement Award at the SMA Annual General Meeting Banquet and Awards held on March 2, 2018 in Saskatoon. 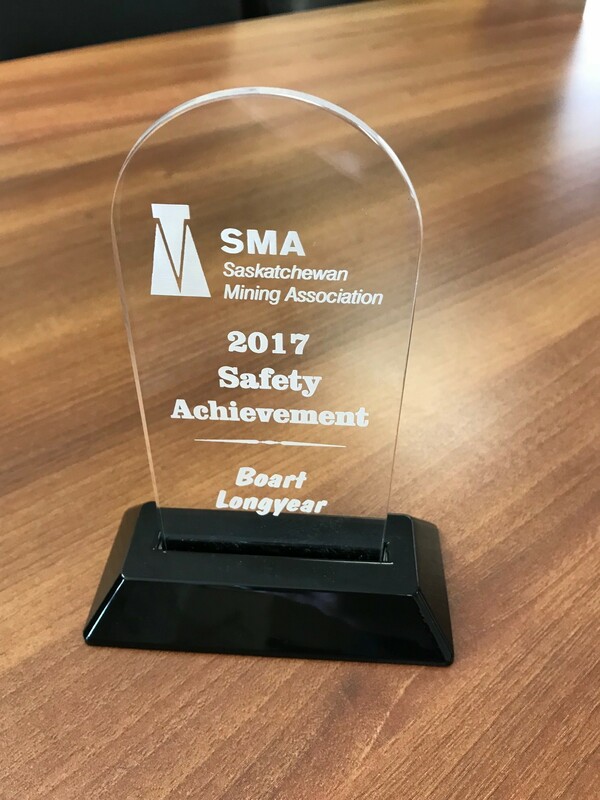 The SMA also recognized Boart Longyear as the mining contractor with the best safety stats in 2017. The SMA uses reported statistics for safety incidents including first aid medical consultant frequency, medical incident frequency, modified work days severity, lost time injury, and days lost severity to base the recognition. SMA Safety Achievement Award BLY 2017.